There are only two jazz dedicated venues in Havana – La Zorra y El Cuervo on La Rampa and Jazz Café in the Centro Comercial Galerías Paseo on the corner of Paseo and Havana’s seaside esplanade, the Malecón. Audiences consist primarily of foreigners, with few locals who are usually connected to the music industry in some manner. 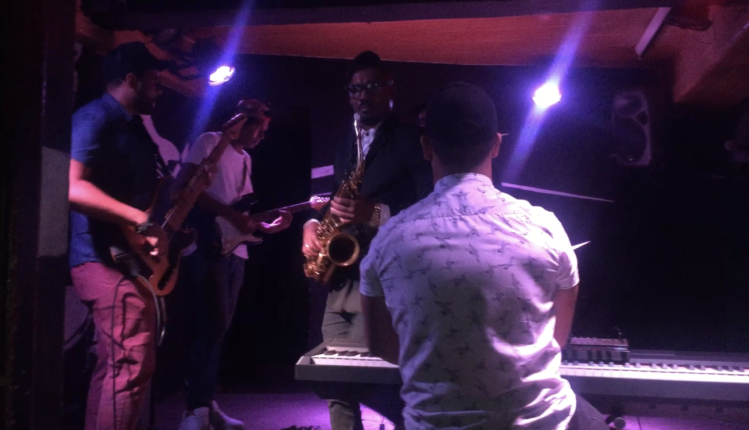 From the new private clubs, which have mushroomed across the city, only Fábrica de Arte Cubano (FAC) offers jazz concerts as it host all genres of music, from classical to rap and hip hop. The rest of the bars play mostly reggaetón and the few which host live music events tend to invite popular tímba and pop musicians or at most jazz fusion bands such as Roberto Carcasses y Interactivo. The country’s leading academies such as the higher education Instituto Superior de Artes (ISA) and secondary school conservatoire Amadeo Roldán do not promote much music education in jazz either. Students get trained in classical music, often playing jazz in their own time after school hours. At the same time, Cuba has produced some very skilled and influential jazz musicians and bands such as pianist Bebo Valdes, Chucho Valdes and Irakere (having transformed Latin jazz in the second half of the twentieth century), trumpet player Arturo Sandoval, saxophone master Cézar López, trumpeter Reinaldo Molote, saxophone Michel Herrera to name a few. Structurally, Cuban rhythms have also underpinned the foundations of Latin jazz. Other countries have also taken up Irakere’s model of fusing traditional African beats with jazz. An example is the late Columbian Joe Arroyo. The challenges jazz musicians face in Cuba are apparent in the work and struggles of independent trombone player Eduardo Sandoval. Balancing between a day job of working for a number of different projects, playing various genres of music, and between creating his personal projects, Sandoval needs to find his own financing, ensure he can pay musicians to record with him and wait for availability of sound professionals and studios at EGREM. His story is not unique. A number of jazz musicians in Cuba do not even have their individual projects but are a hand for hire, playing any genre, including salsa, timba, son, classical music and jazz with various bands in order to earn their income. There is little time and effort left for them to create and develop their own projects. There is also little interest from recording companies and producers to get involved in such projects due to little commercial benefits anticipated. Besides, limited recording and rehearsal facilities are always a challenge to gain access to. Like in capitalist economies, music production in Cuba is also driven by consumption.The story that jazz has not been promoted sufficiently by the Cuban government, because of its association as a genre with the United States, is not convincing enough. Most of Cuba’s population and tourists consume other genres of music, primarily popular dance music such as salsa, tímba and son, and over the past few years reggaetón. This is not dissimilar to other countries. While London, New York and New Orleans claim fame as homes of jazz, most of the consumption of music in Europe and North America is popular genres such as pop and dance music. Other places such as Japan are increasing their consumption of the genre. Tokyo’s hight end jazz venue Blue Note hosts regularly a wide range of international jazz musicians, including Cubans from Havana and Europe. Chucho Valdes and jazz diva Omara Portuondo, and Copenhagen based conga player Eliel Lazo performed recently at the venue. Beyond limited opportunities, jazz in Cuba has often been criticised for little little innovation in comparison to the way Irakere transformed the genre. While tímba and reggaetón continue to evolve their musical structure, and even traditional Afro-Cuban rhythms such as rumba are changing through new interactions with other styles such as funk and soul, jazz is considered more of a continuation of the past rather than a dynamically changing genre. It is often difficult to put value on innovation and we are rarely able to fully assess it at the time it is happening unless it is something distinctively concrete. As such, some jazz musicians such as Arturo Sandoval have left the country to search for further realisation in international centres in Europe and the US. Others however, remain on the island and continue to create. Despite difficulties and limitations musicians such as Michel Herrera and Eduardo Sandoval are bringing the jazz forward through different approaches of innovation. Only the second trombone player ever produced by Cuba’s national recording company EGREM (the first being trombone legend Juan Pablo Torres), Sandoval is in the process of recording his second album. The rhythms vary from transformation of the Arsenio Rodriguez son classic Dundunbanza to Samba in Havana, an Alain Pérez theme through which Sandoval is bringing bossa nova (Brazilian jazz) and Cuban jazz closer together. Lack of funds and facilities, alongside working for a number of other projects, have not prevented him from pursuing his personal aspirations and career as a jazz musician. His first album Caminos Abiertos (2016) received few awards, including for best jazz album of the year and best first album. His first video for the piece Rumbeando con Chano (referring to Cuba’s great percussionist Chano Pozo) from the same album also received a number of LUCAS 2018 awards and nominations. Nevertheless, Sandoval remains more the exception than the norm, as not many jazz musicians in Cuba manage to persevere in their independent initiatives, while working full time on other, rarely jazz-related, projects.